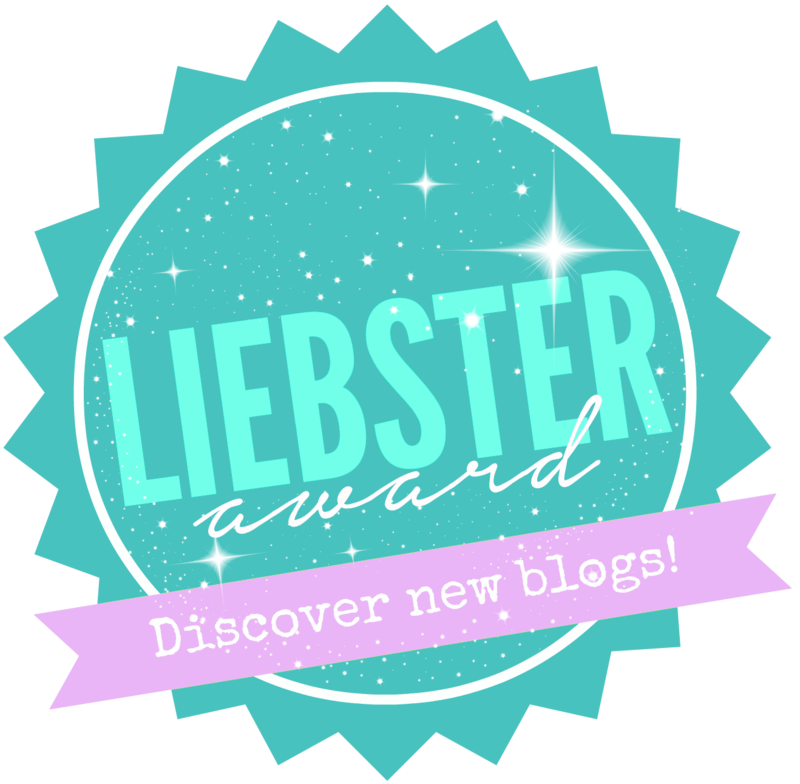 Crystal Sparkly Dreams: I Got Nominated for The Liebster Award! There are so many different logos for this award, but I just love the colours of this one and as far as I know there's no rules on which one you can display, please let me know if I'm wrong about that one!? The Liebster Award Rules: I've found a few different versions of this but these ones seem to be the most popular. 1. If you could go on a road trip right now, where would you go? I would go to Seaford in East Sussex and visit my friend, because I haven't seen her in a very long time, plus I just love that area, I used to live there many years ago and I miss it all very much. 2. What movie/s could you watch over and over again? 4. Who is one person that inspires you? I think there are many people that inspire me for many different aspects of my life, but the main one is someone in my family who is an incredibly strong, wonderful, caring person and I look up to them very much. They've always been there for me and they inspire me every day. 5. Who is your favourite singer at the moment? As always Linkin Park of course! But I am also totally crazy about the song Moondust by Jaymes Young, it's just so beautiful, I absolutely love it and I could happily listen to it non-stop! 6. Where do you see yourself in the future? I really don't like these type of questions, I mean who really knows, plans change! So I'll just say, hopefully happier, settled and still blogging. Short answer yes, because I love it and it brings me a lot of happiness. There's a couple of quotes that I absolutely love, one of them I'm keeping quiet about because I'm doing a whole post about it in just over a weeks time! The other is, "Life is what you make it". I don't know where it came from but I think it's very inspirational and it has stayed with me for many, many years. 9. What is your advice for someone feeling down and out? Talk to someone; just to vent or to get advice, try and relax to take your mind off things - YouTube and listening to music are the very best I find, and finally find something you really enjoy doing (a hobby) and throw yourself in to it. 10. Tell us a secret! I honestly don't really have any secrets, I'm pretty much an open book, but there is one thing I am very excited about at the moment that not many people know, I'M GOING TO A LINKIN PARK CONCERT IN LESS THAN A WEEK'S TIME!!!! :-D I'm SO excited, I really can't wait, and yes I will be blogging about it :-) I also have a ticket for this concert for sale, as sadly my friend can no longer go with me. If you would like more details click here! To start with, it was therapy, something to help me when I was going through a rough time but the more time went on, it just became a real pleasure too. Now just over a year later, I'm still really happy with my blog and I still enjoy it very much. 1. If you could only have one wish in life, what would it be? 2. If you could have a special/magical power, what would it be? 3. Tell me something that you really love in life? 4. What's one thing that really gets your blood boiling? 5. What made you start blogging? 6. What's one beauty product you couldn't live without? 7. What's one part of your body you love? 8. Tell me something that really scares you? 9. Tell me one funny fact about yourself? 11. What's your absolute favourite ever song? Great responses to my answers Dani! I agree "Life IS what you make it" I always like to live by that one rule! It has led me down some great paths and I cant wait to see whats next! I used to love listening to Linkin Park and I definitely need to get back to listening to them. I hope you enjoy your time their at the concert too, rock out for me too haha! Great questions btw something to really make you think! If I could have any magical/special power I would have to sayyyy the ability to speak in all languages. I want to be able to reach more people to help and inspire...I really need to get to learning something haha! I really enjoyed doing this post and answering your questions, I was really happy with mine too and I'm looking forward to seeing my nominee's answers! Thank you I can't wait to go to the concert, I'm a very long-term fan and listen to them all the time! I just wish I could find someone to go with me at the moment! 1. If I could only have one wish in life, It'd be to eradicate sickness and diseases 2. My magical power would be teleportation, I'm always complaining about having to commute 3. I really love food and I'm constantly thinking about the next meal (and maybe the meal after that too!) 4. Ignorant people get my blood boiling, and bullies! 5. I started blogging because I kept getting friends and colleagues tell me they loved my outfits and wanted to know where I got all my clothes from 6. The one beauty product I can't live without is mascara, I love it so much! 7. I'm trying to love my body as a whole and it's been one LONG process, but I would say my eyes are my favourite part. 8. Heights, open water and moths really scare me :( 9. One funny thing about myself is that I'm a klutz and am always bumping into things or getting bruises somehow 10. I have so many people that inspire me through music, fashion, art etc., it's hard to name one but I'll go with Andy Warhol 11. I can't name one song - there are just too many. Music is one of my great loves!